TL;DR – Erm, these places are literally hidden. Here’s your handy treasure map to 5 hidden gems in Singapore. This guide has been divided into five categories: Food, Drink, Dessert, Art and Accommodation. Most of these places are so camouflaged or nicely hidden away from plain sight, you’ll have to look really carefully to spot them! Tucked away in a hidden alleyway of Gemmill Street in Telok Ayer lies an highly inconspicuous (back) entrance to a low-key mysterious burger place called Burger Joint. The Burger Joint’s Singapore store brings a piece of the Big Apple (NYC) to our little island shore by replicating authentic, unpretentious and freshly-made classic NY burgers. The Burger Joint has a decent sized menu showcasing burgers classics like the Cheeseburger (with its beef air-flown monthly from Nebraska), Double Jalapeño Bacon, Sriracha Cheeseburger and a healthier-option like the Portobello Burger. Complete the full American fast-food experience by adding on a side of addictive fries and washing it down with one of their 18 craft beers or some rich, boozy milkshakes. Bincho at Hua Bee is an eclectic mashup of a traditional-meets-modern dining concept. The restaurant is so nicely hidden behind the facade of a kopitiam (or local coffee shop) that operates in the day selling local delights like mee pok, kopi and toast and Bincho comes alive at night when it transforms into a nifty Izakaya-Yakitori place. Tucked right within the rear walkway of the restaurant lies a dimly-lit bar that channels the grungy-vibes of a Japanese alleyway bar, offering an enticing selection of Japanese-inspired cocktails and a thoughtfully assembled list of Japanese whiskies, craft beers and sake. Bincho is an amazing watering-hole for post-work drinks with the colleagues or if you’re craving some perfectly grilled yakitori and iced cold Japanese beer or sake. 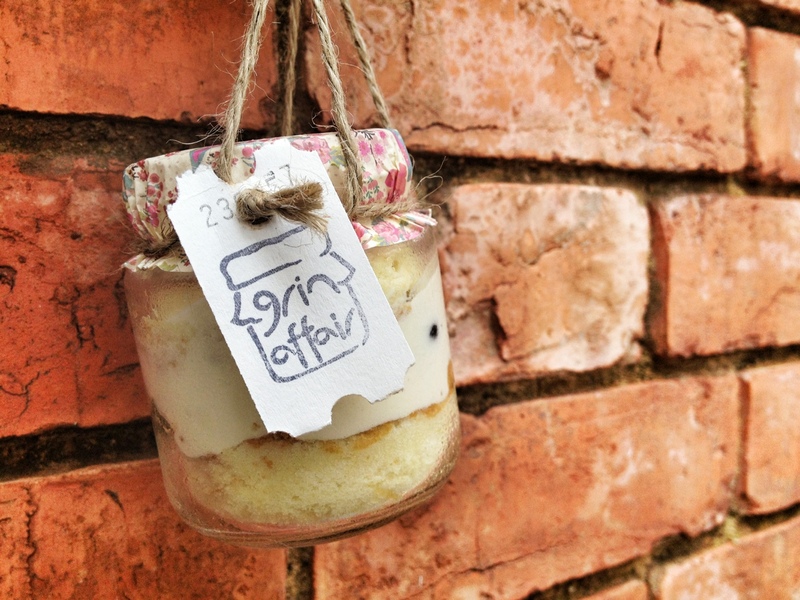 Grin Affair is quaint little cafe that very creatively serves their cakes in delicately packaged jars and they offer a variety of up to 14 different flavours (like Honey Lavender, Lychee Passion fruit and Lightly Salted Caramel) and a few seasonal ones for you to choose from. Be reassured that each individual cake is made and layered with fresh ingredients of fruits, nuts, quality chocolate, handmade purees and mousse. They currently have two outlets – one in a quiet HDB neighbourhood of Everton Park and another at in the heartlands of Bishan St 11 – over at their second establishment in Bishan, the dessert menu has a new addition of meringue waffles and a nice selection of coffee, tea and non-caffeinated drinks to quench your thirst. DECK is an independent art space located in the heart of the arts and historical district of Prinsep Street. There’s a community-centered encyclopedic library, an activity space, an artist studio, two galleries and a cafe housed inside of 19-refurbished shipping containers which was creatively-designed to work around the issue of land scarcity in Singapore. DECK was created as a venue for photographers and artists to showcase their work and photos. DECK aims to be a venue where by amateur photographers and professionals can get together, be inspired and to encourage each other. There are a variety of cool photographic exhibitions and book launches happening every month, so do check out their events calendar. Lloyd’s Inn is a hidden tranquil oasis located in the heart of bustling Orchard Road precinct. Everything about this boutique hotel screams “minimalist” and “hipster” – from its hotel logo and website right down to the interior design and layout of each of the rooms. The rooms celebrate the beauty of nature using raw materials like timbre and concrete, minimally designed with creative touches like skylights and private courtyards. The whole concept of Lloyd’s Inn embraces the attributes of space, nature, texture and light, which ultimately aims to create a unique sensorial experience for each of their guests. There’s a roof terrace, swimming pool and garden deck for guests to hang out with a drink, enjoy meals together and just laze by the pool. It’s a great place for a intimate weekend stay-cation or to celebrate a special occasion with your other half. 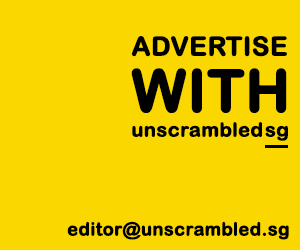 And yes, the Unscrambled.sg team seems to love Lloyd’s lots, considering that we’ve featured it here, here and here! Next PostWant some free FairPrice vouchers? See this! Now!